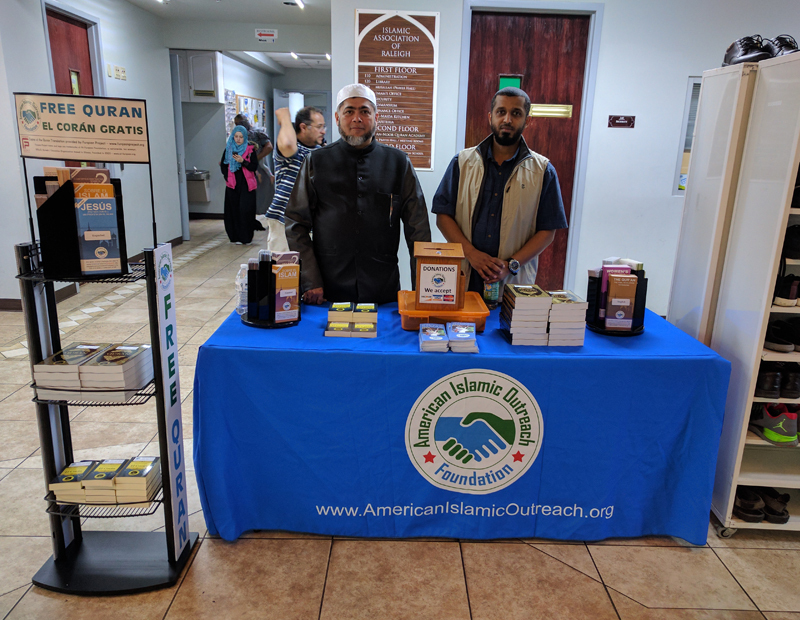 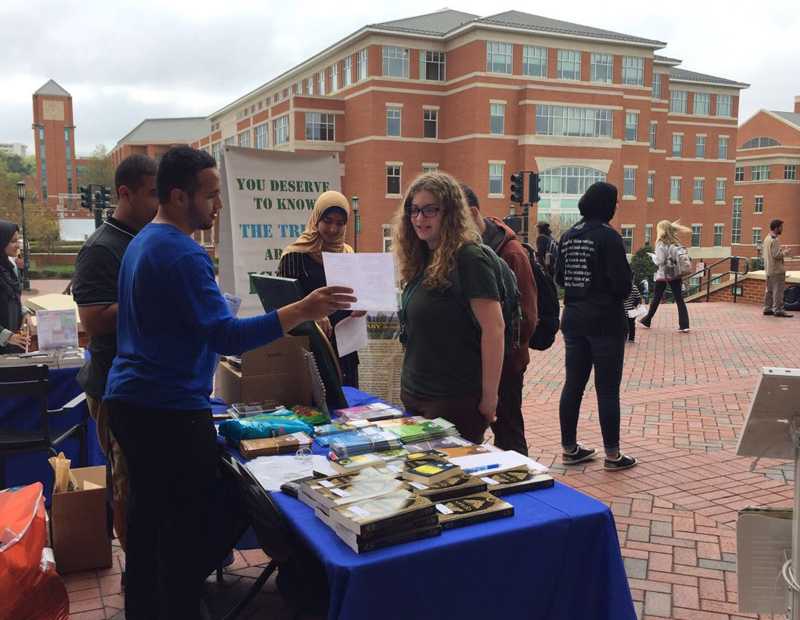 AMERICAN ISLAMIC OUTREACH is an established non-profit organization that is making a positive impact in the lives of hundreds of Muslims and non-Muslims across the Carolina’s, with the vision to broaden our reach across the Southeast, and beyond. 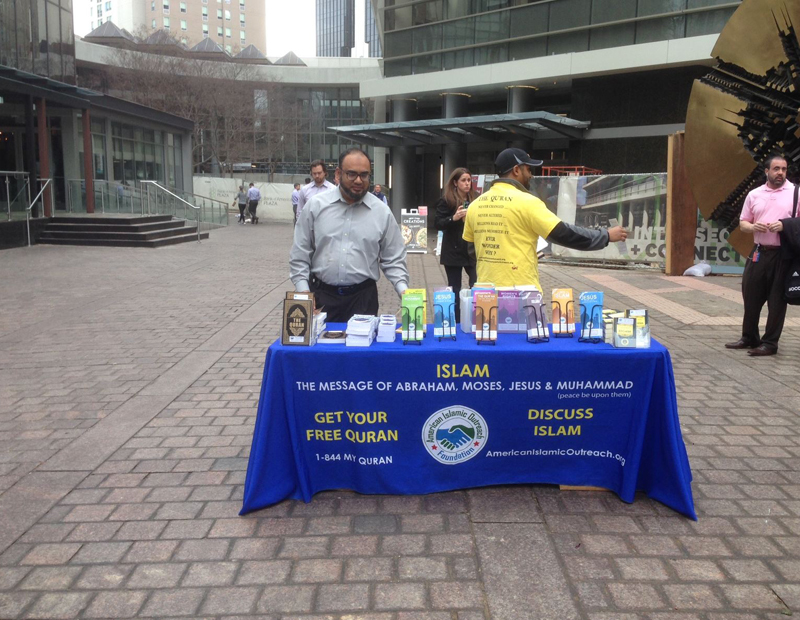 Here at AIOF have been working really hard to provide education and information about Islam to the American Public. 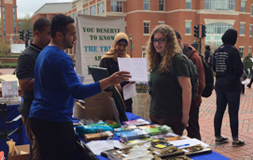 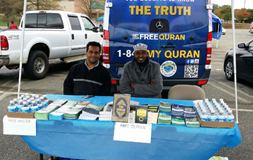 With Allah’s guidance and your support we have been able to handle several Dawah projects since 2012. 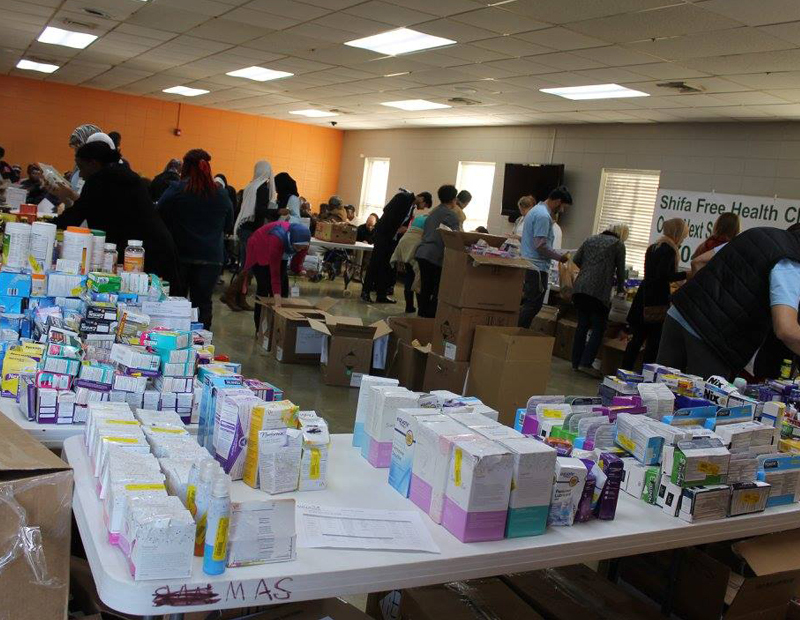 To keep these valuable interfaith outreach efforts going, your support and generous donations are greatly needed. 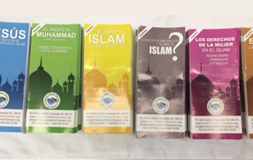 12 Brochures in English and Spanish on various important subjects. 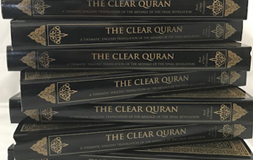 i.e: About Islam, Womens Rights, Misconceptions, The Quran, Prophet Muhammad and Jesus in Islam. 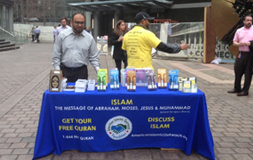 Our information tables are a method for us to promote understanding and dialogue to the general American public. 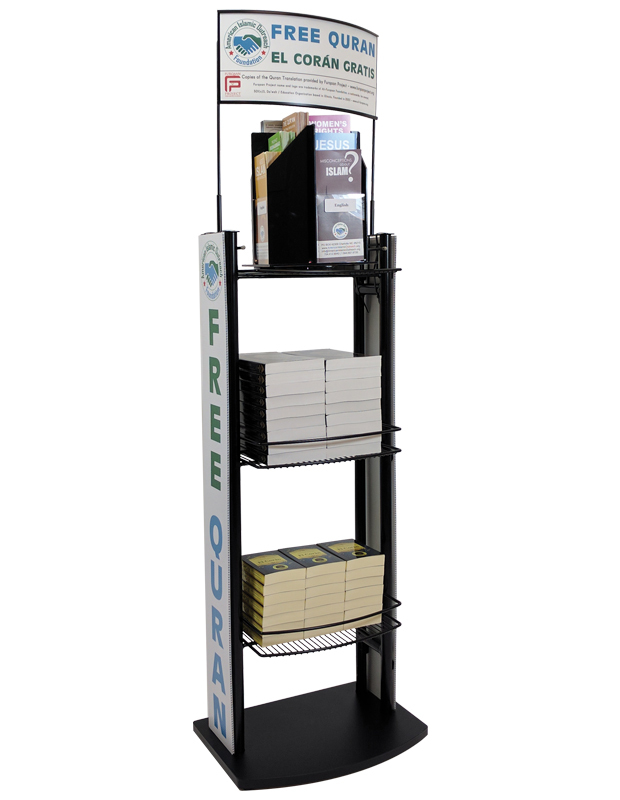 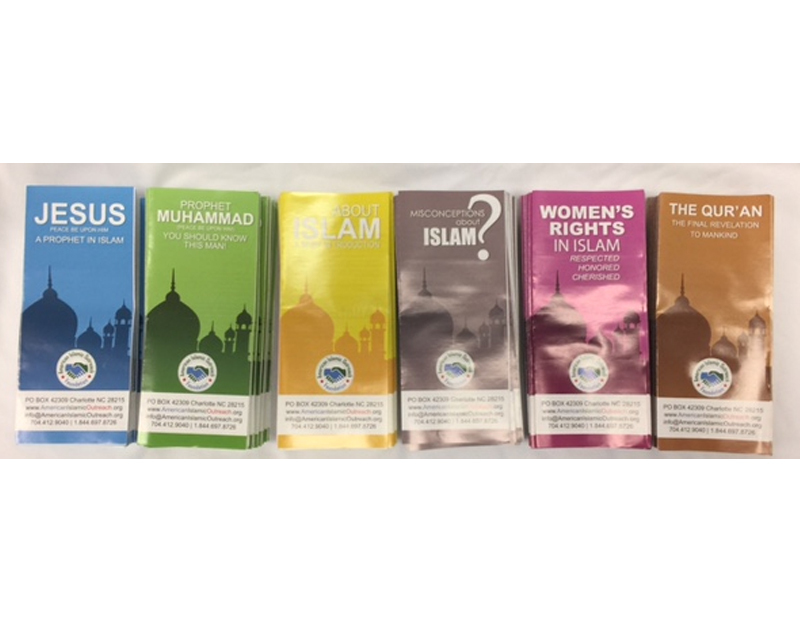 You can find a range of free brochures and books on the Islamic faith. 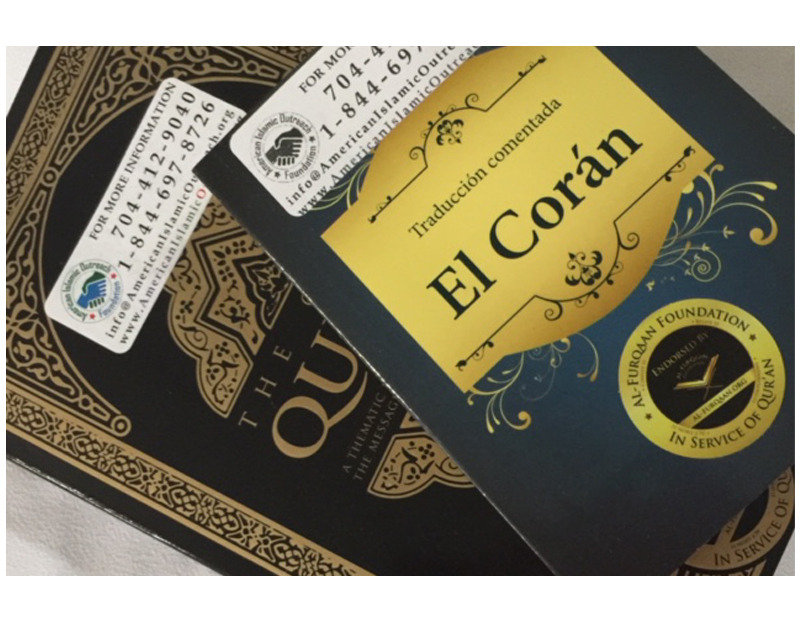 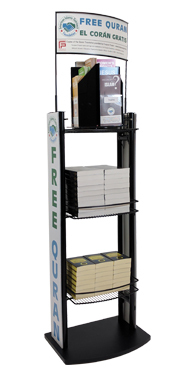 We distribute Free Holy Qurans and Brochures in English and Spanish. 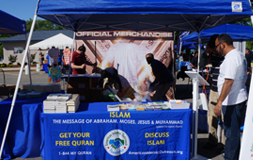 You can find our booths at festivals, mosques, flea markets and downtown Charlotte. 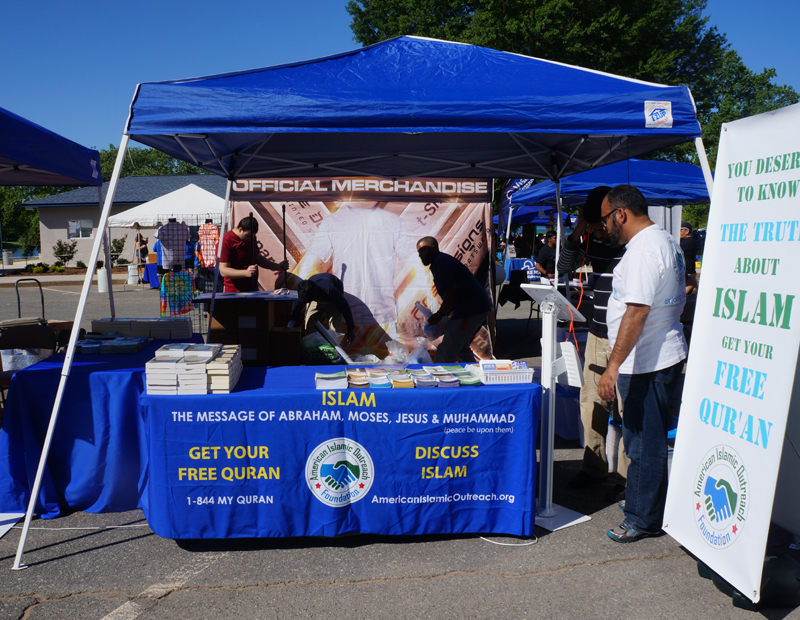 In addition to our information tables, we have dedicated volunteers who available to answer any questions. 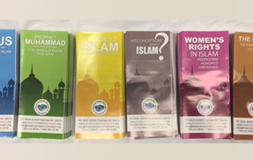 Distributing literature is one of the main projects AIOF partakes in to provide education and information about Islam. 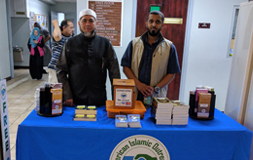 The literature is used for all of our on-going projects, from Quran Stand to Open Houses to weekly Quran requests from Email, Voicemail and Mail. 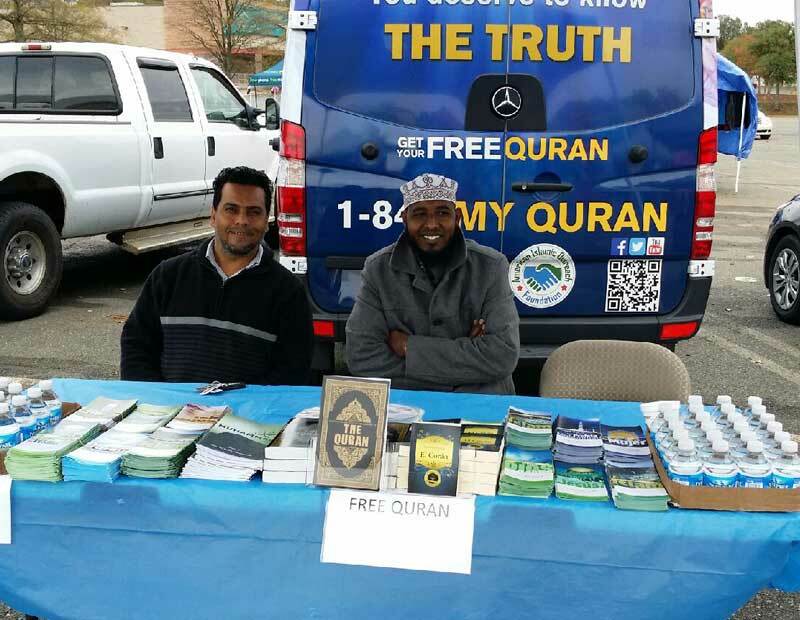 Quran Requests come from all over the country on a weekly basis. 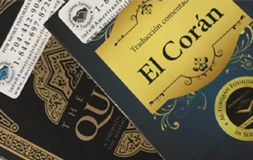 The curiosity of wanting to know more is growing. 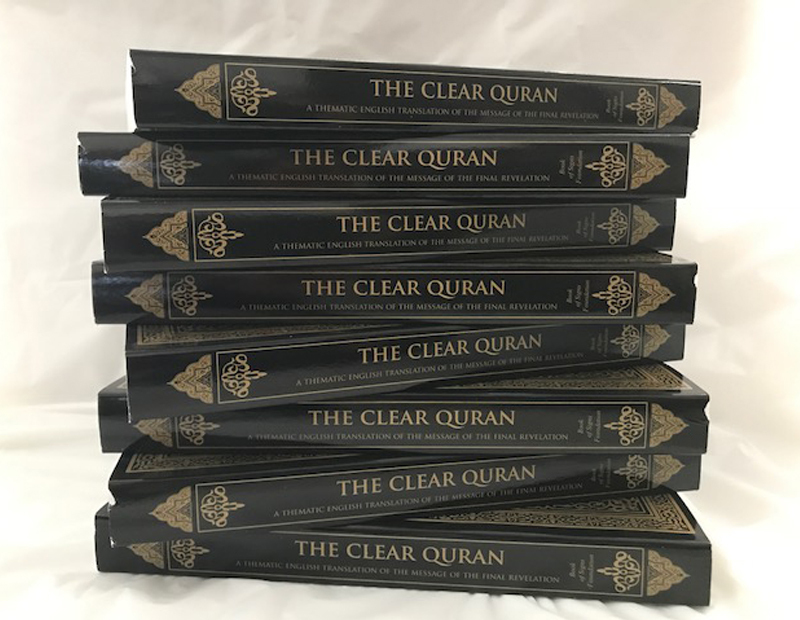 We have been able to distribute over 3800 Qurans in this month of April 2017 alone. 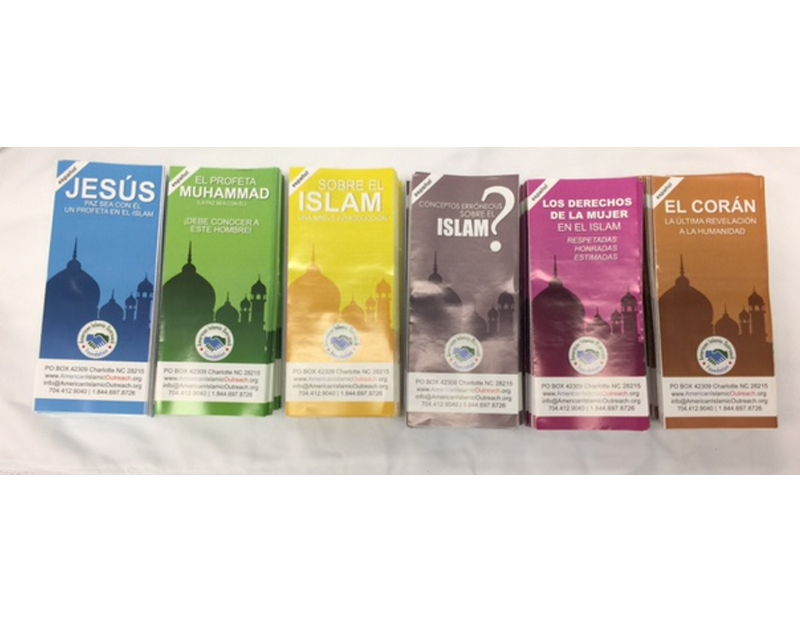 Alhamdullilah we have now have all our brochures and Qurans available in Spanish and English. 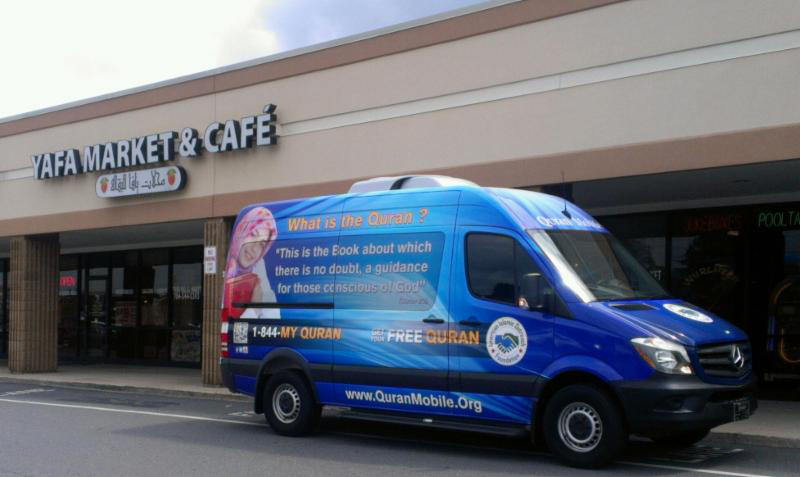 Our most eye-catching project “Our moving Billboard” promoting the message of Dawah wherever it goes! 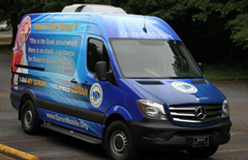 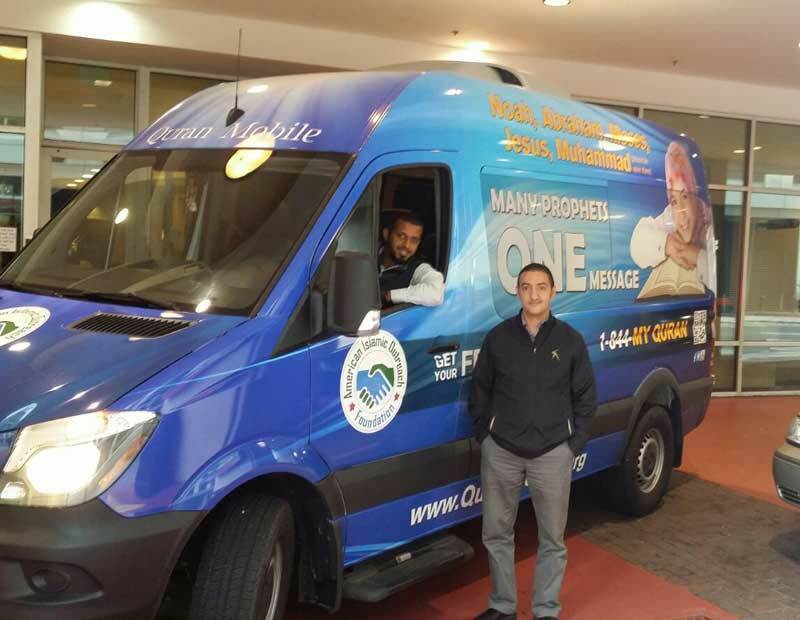 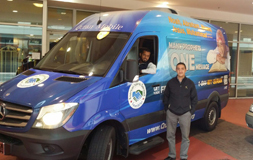 The Quran Mobile is a 12 seater sprinter van that is wrapped with graphics displaying the message of Dawah. 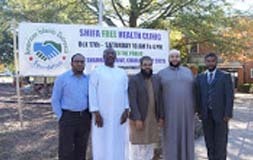 An established a Free Health Clinic that is operating twice a month since October 2016. 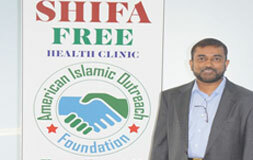 Tended to 350+ patients. 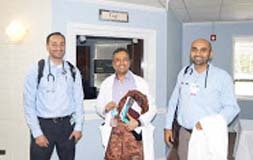 Every month we have seen a growth of new patients, new professional medical staff and new dedicated volunteers. 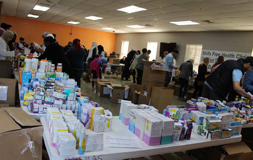 We also have access to OTC medication to whom needs it and is dispensed with supervision from our dedicated pharmacist. 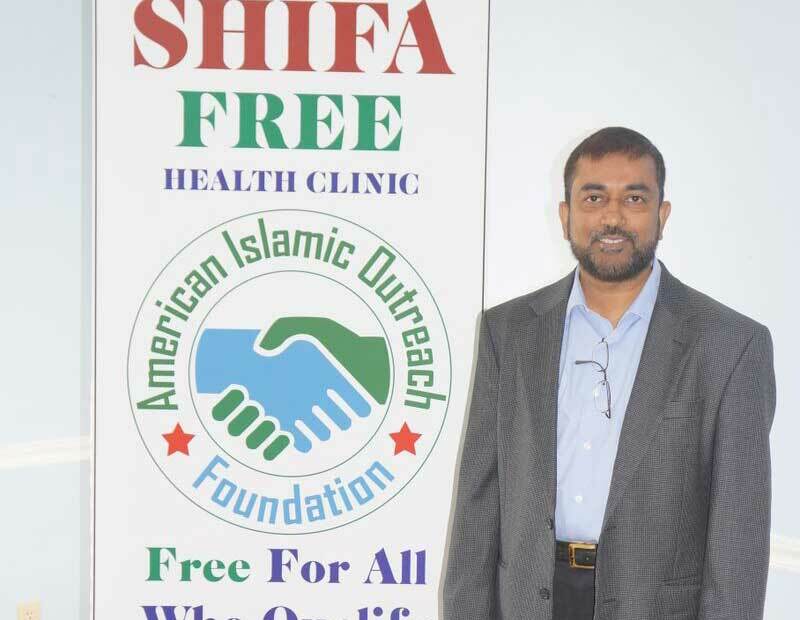 Stated on the Mecklenburg Free Clinic List.